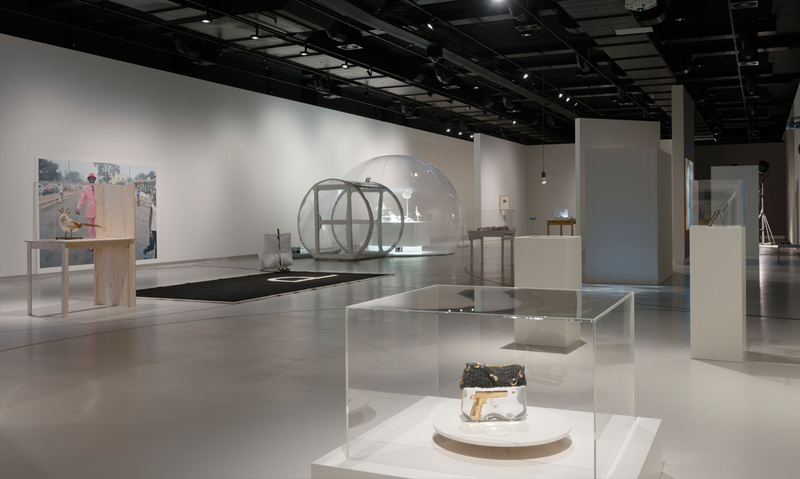 For the opening of the new building of the Stedelijk Museum ’s-Hertogenbosch, a museum of contemporary art and design that has been establishing a modern jewellery collection for many years, Ted Noten was asked to act as guest curator. 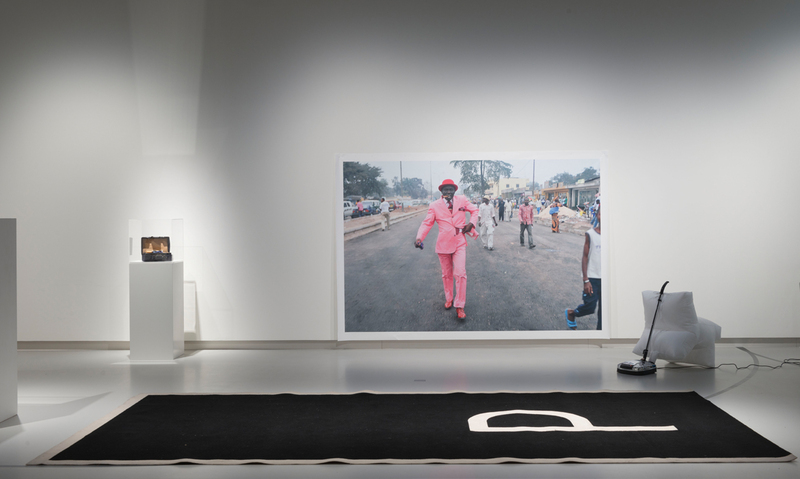 He was commissioned to come up with an exhibition showcasing not only his own work, but above all his sources of inspiration. 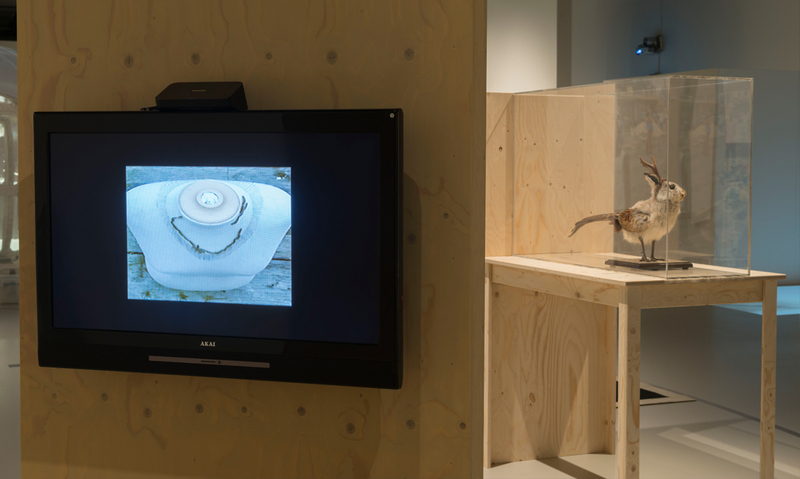 The result was a show combining objects, paintings, sounds, films, photographs, drawings and installations from many different periods and disciplines, including work by internationally acclaimed artists such as Francis Bacon, Marina Abramovic, Marijke van Warmerdam and Damien Hirst, a Wolpertinger (mythical creature) from Bavaria probably made by an anonymous farmer, John Körmeling’s portable parking space, glasses by Elsa Schiaparelli and the poem ‘Als das Kind Kind war . . .’ by Peter Handke from the film Der Himmel über Berlin (Wings of Desire). 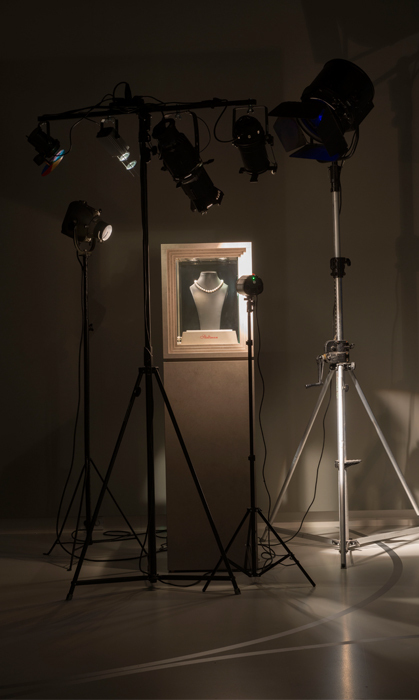 The exhibition was divided into sections with themes such as greed, lust, seduction and mortality, subjects that have always been closely tied to the work of jewellers. 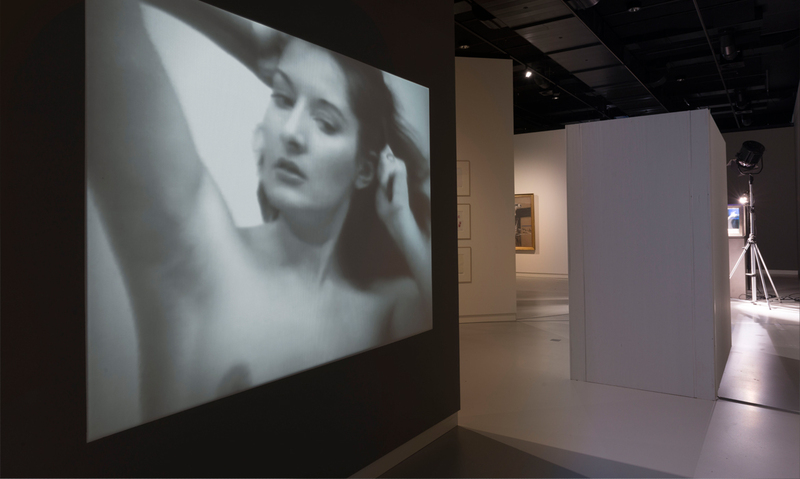 The themes were clustered like a string of pearls in the exhibition space, 700 m2 in size. 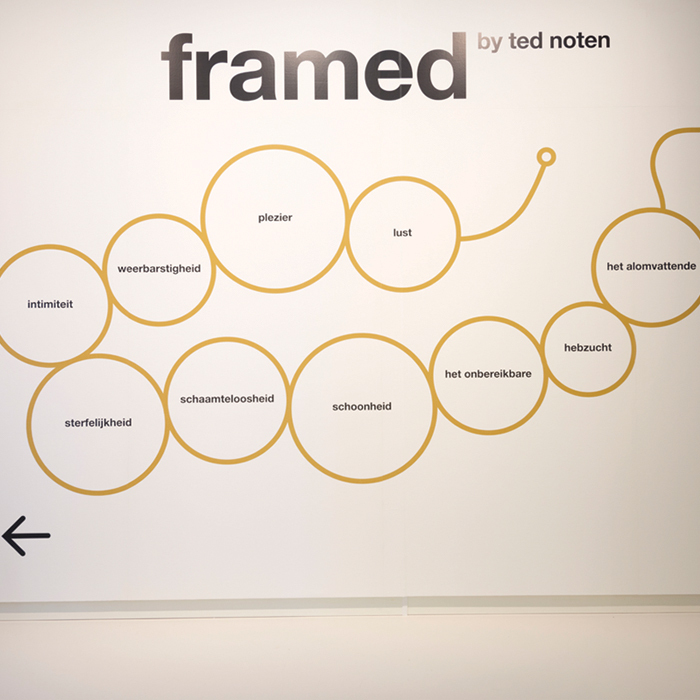 ‘Framed by Ted Noten’ was also where Noten premiered his latest work, 7 Necessities. 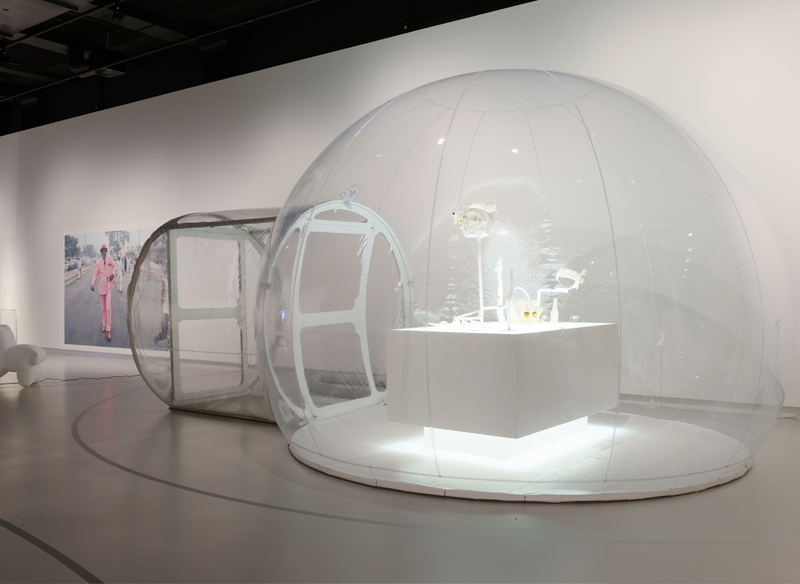 An inflatable igloo was installed especially for this work. 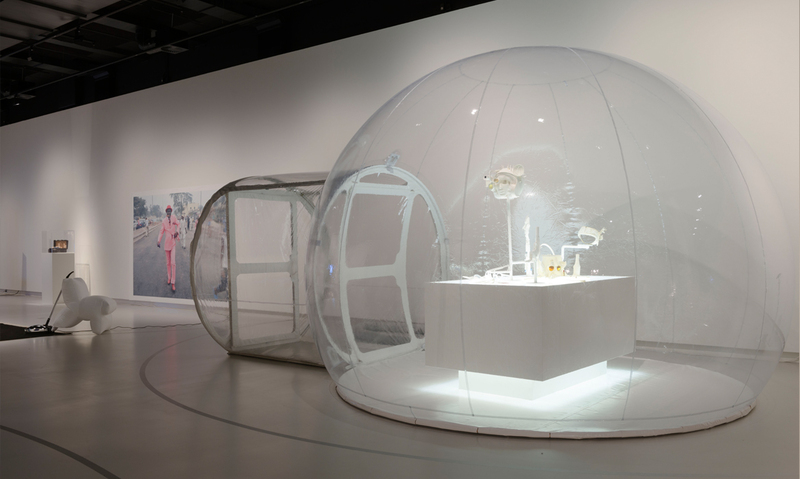 The transparent plastic wall made the pieces of jewellery visible yet inaccessible.